Run in tights that feel like an extension of your own skin. 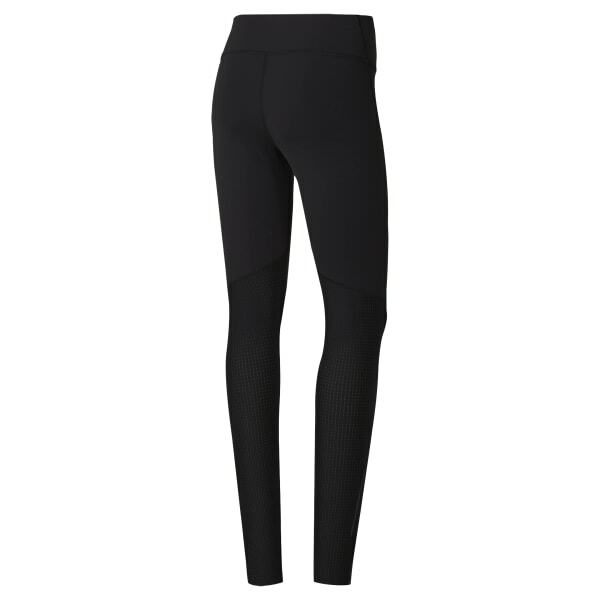 These women's tights have perforated mesh panels for ventilation and breathability. They're made with Speedwick fabric that's designed to pull sweat away from the skin. An internal waistband pocket stows small essentials, while the high waistband delivers form-fitting comfort.